An elderly woman died and two men went missing on Saturday as cold front “Sophia” continued sweeping across Greece, national news agency AMNA reported. The weather system which has gripped Greece from Tuesday brought snowfall and downpour in many parts of the country, mostly in central and northern provinces, shutting down regional roads. The Fire Brigade had to intervene from Jan. 3 to transfer to hospitals 28 patients nationwide, as well as move to safe sites 45 travelers who had been stranded in vehicles across the country, according to an e-mailed press release on Saturday. Ferry services were disrupted, as winds up to 9 on the Beaufort scale were blowing at sea, while hundreds of travelers suffered from flight delays and cancellations, the civil aviation authority said. Two hundred passengers of a flight which had departed from London on Friday evening were expected to arrive in Greece on Saturday evening by air or bus from Romania. The Ryanair aircraft was diverted to Timisoara airport, as it could not land at Thessaloniki Airport in northern Greece due to adverse weather conditions. On Saturday, in many parts of the country the thermometer showed temperatures close to zero degrees Celsius, while the lowest (-12.5C) was recorded at Florina town in northern Greece. Nope. The British people don’t need to know that. Parts of Greece have been blanketed in snow as icy temperatures continue to grip much of Europe. Yeah, the BBC reported about heavy snowfall in Greece, but that was TWO YEARS AGO. This year the heavy snowfall came back, but the BBC has chosen to not report about it. This because of the so-called Green Media Training. Every news that is not consistent with the Global Warming scam is either downplayed or – even better – not reported at all. BBC = FAKE NEWS. Heavy snowfalls across Europe — even in Greece — have thrown travel plans into chaos, trapping hundreds in alpine regions and airports, and leaving snow on Italian beaches. (..) Separately, authorities in Greece reported travel disruptions due to snowfall in the north of the country. As the record-breaking snowfalls engulfed much of central Europe, bringing the Continent the coldest Christmas in 120 years, a rare sight was seen: snow on Greek and Italian beaches. Reader’s comment: So the European continent has had the coldest Christmas in 120 years, but in Europe we need the Australian news to know about that. Dutch MSM: Nothing. BBC News: They reported about heavy snowfall in Greece for the last time in JANUARY 2017, two years ago: Heavy snowfall returned this year in Greece, but this time not in the BBC News. 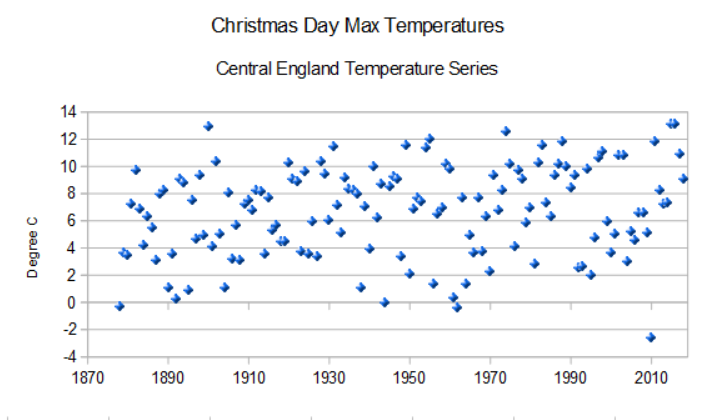 The British people don’t have to know about this, because it does not fit in with the global warming scam.